We finally got to see the 2020 Ford Mustang Shelby GT500 at the 2019 Detroit auto show, roughly one year after the car was officially confirmed. Although we still don’t know exactly how much horsepower the new Shelby makes, the Blue Oval brand has given us plenty of other specs to drool over. The GT500 will no doubt be a beast, but how will it stack up against the supercharged pony cars from Dodge and Chevy? 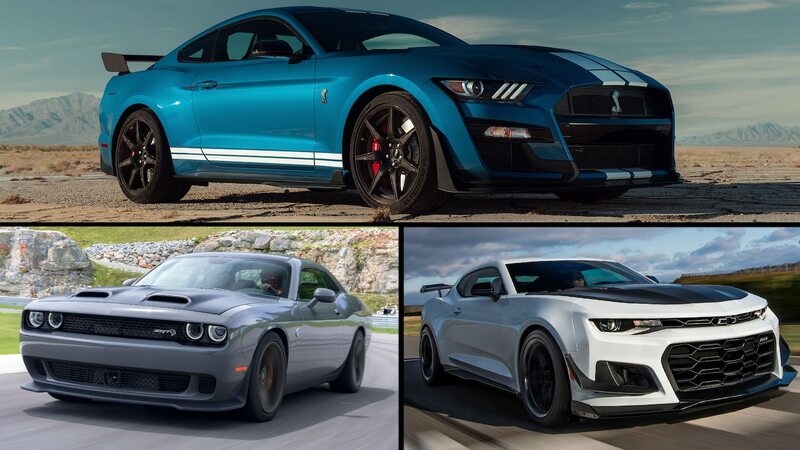 Keep reading to see how the Ford Mustang Shelby GT500, Chevrolet Camaro ZL1, and Dodge Challenger SRT Hellcat compare on paper. 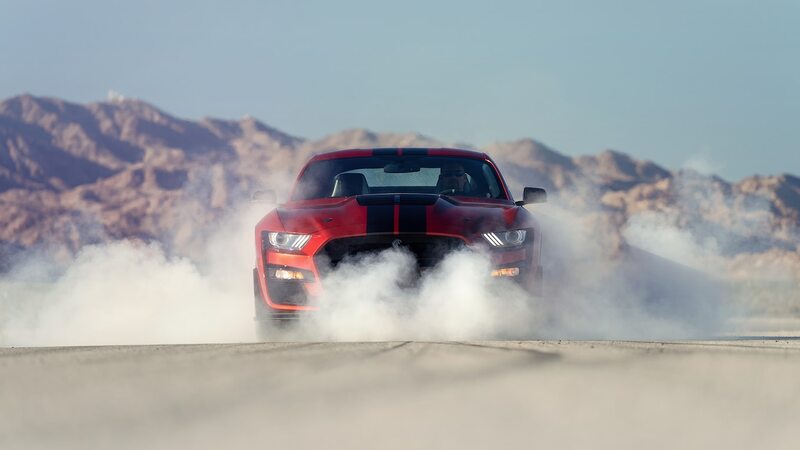 The 2020 Shelby GT500 is powered by a supercharged 5.2-liter V-8 that’s related to the engine in the 526-hp GT350 but gets a cross-plane crankshaft instead of a flat-plane. The supercharger is a roots-type 2.65-liter unit that forces air through an air-to-liquid intercooler sandwiched between the blower and the engine. Exact power output remains unknown, but Ford engineers promise more than 700 hp and 600 lb-ft of torque. Ford estimates the GT500 can do 0-60 mph in roughly 3.5 seconds, which is the time we recorded for a 2018 Camaro ZL1 in testing. 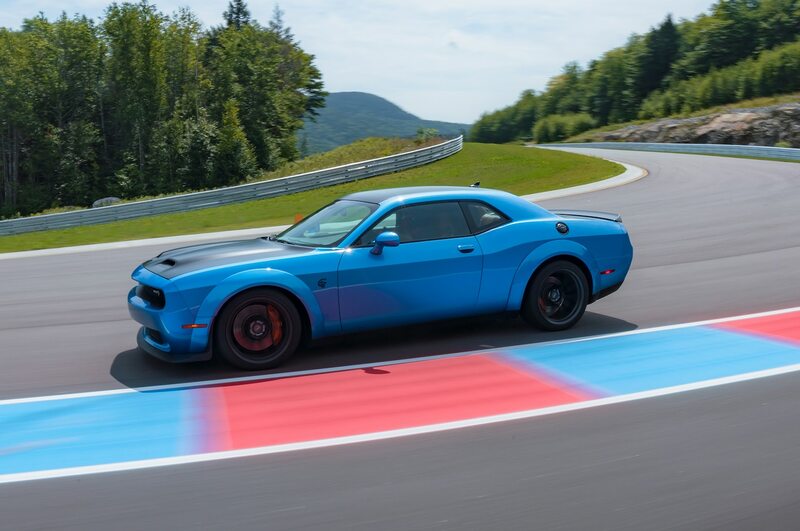 The number to beat is still 707 hp and 650 lb-ft, the amount the standard Dodge Challenger SRT Hellcat makes from its a supercharged 6.2-liter Hemi V-8. 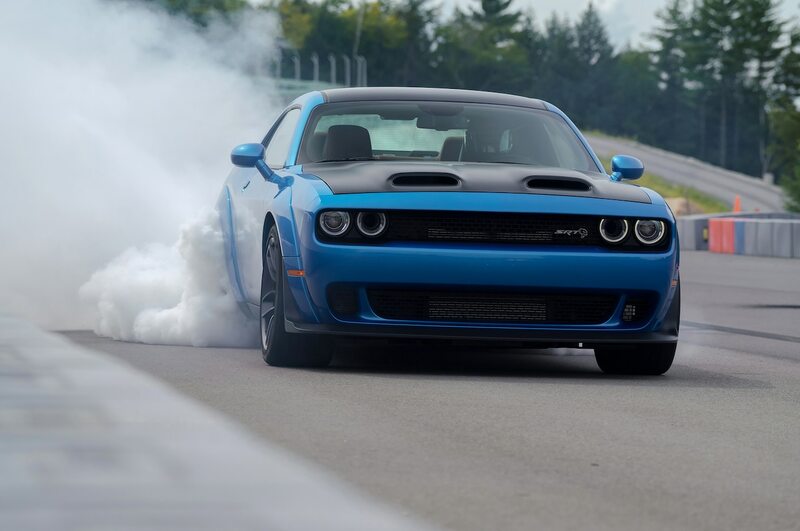 The Hellcat Redeye raises the bar to 797 hp and 707 lb-ft thanks to an engine derived from the one in the limited-production Demon. The Chevrolet Camaro ZL1 doesn’t quite make the 700-hp club, but still packs a punch. Its supercharged 6.2-liter LT4 V-8 produces 650 hp and 650 lb-ft and features 11 heat exchangers. The only transmission offered on the GT500 is a Tremec-sourced seven-speed twin-clutch automatic. No manual is currently available. 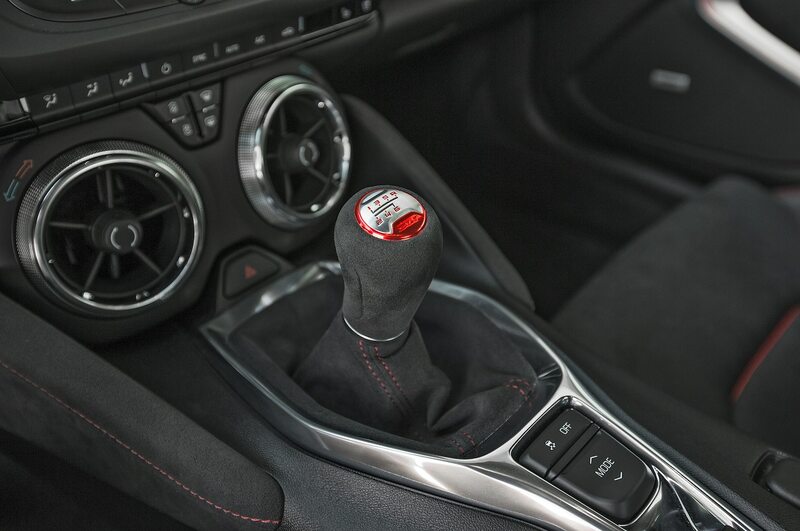 The Camaro ZL1, meanwhile, offers a choice between a six-speed manual and 10-speed automatic. That 10-speed, which was jointly developed by Ford and GM, was once rumored to have been considered for the GT500. Ford engineers ultimately decided on the twin-clutch because it was already beefy enough to handle the high torque of the Shelby’s supercharged V-8, whereas the 10-speed would need to be reinforced. The Challenger Hellcat is arguably more at home on a drag strip than a road course, but if you’re going to drive any Hellcat around a track, you’ll probably want the Widebody variant. That model is 3.5 inches wider than the standard Hellcat and comes with 20×11-inch wheels wrapped in 305/40-size Pirelli P Zero tires. 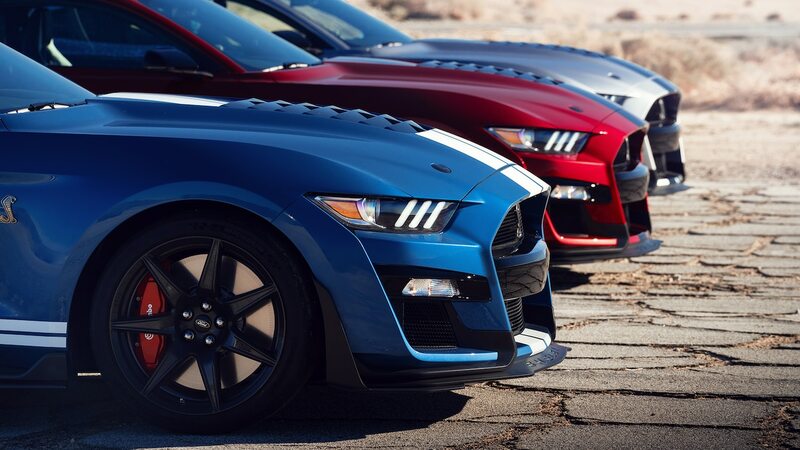 For the most part, the GT500’s cabin is your standard Mustang fare. 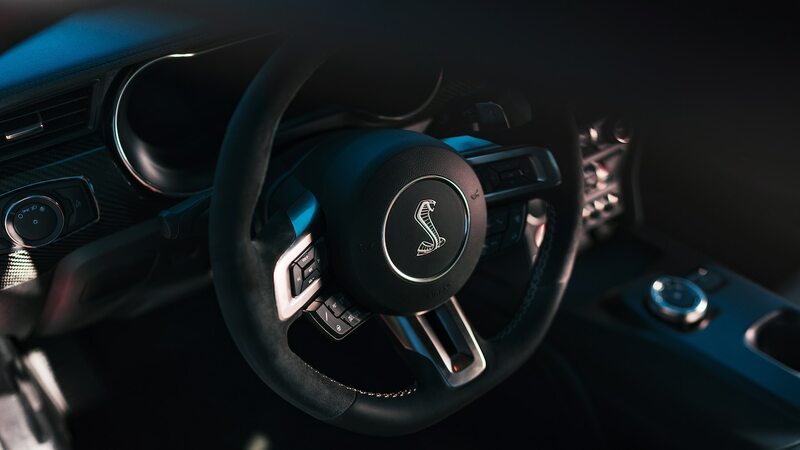 The dash features carbon-fiber accents, and the digital instrument cluster has a few Shelby-specific graphics. The Alcantara-wrapped steering wheel looks similar to the one in the GT350, with the paddle shifters being one obvious difference. Instead of a traditional gear lever, the GT500 gets an electronic rotary shifter similar to those found in other modern Fords. 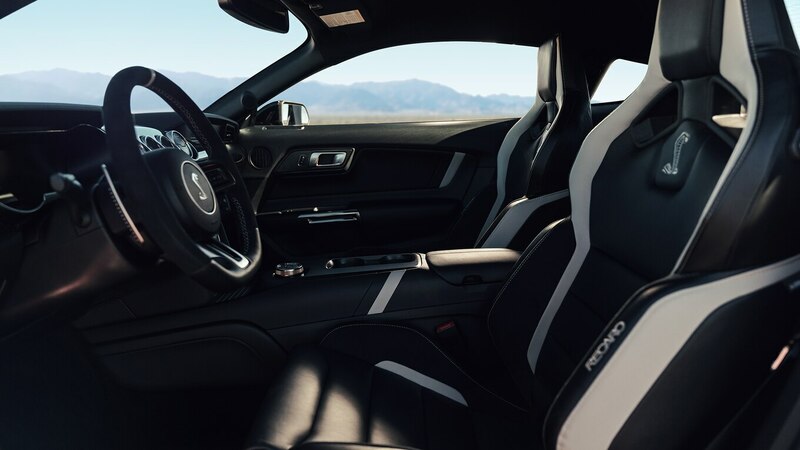 The GT500 comes standard with two seats (though a rear bench may be an option in the future), and those well-bolstered Recaro buckets look both supportive and fancy trimmed with leather and Alcantara. An 8.0-inch touchscreen running Ford’s Sync 3 infotainment system is standard. 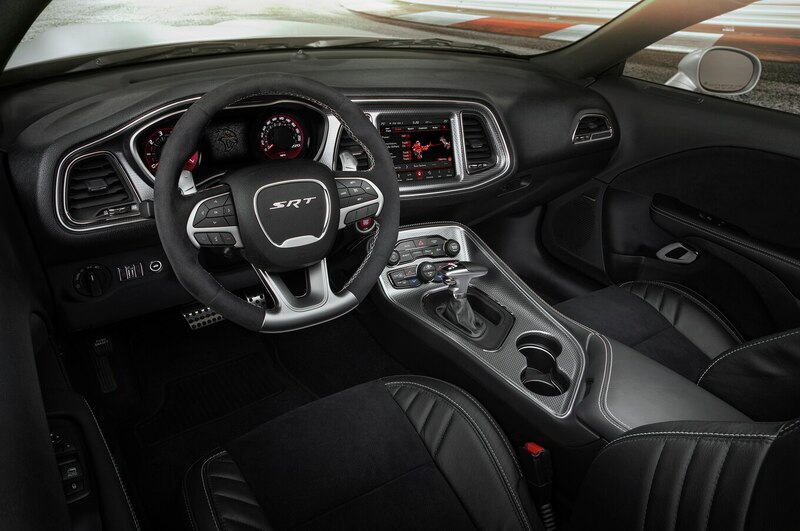 The ZL1 comes standard with Recaro seats, red seat belts, and a suede-wrapped flat-bottom steering wheel. The 8.0-inch central touchscreen offers Apple CarPlay and Android Auto capability. Chevy’s Performance Data Recorder system is available as an option, and includes a high-definition camera mounted behind the windshield, dedicated microphone, telemetry recorder, and dedicated SD card slot. 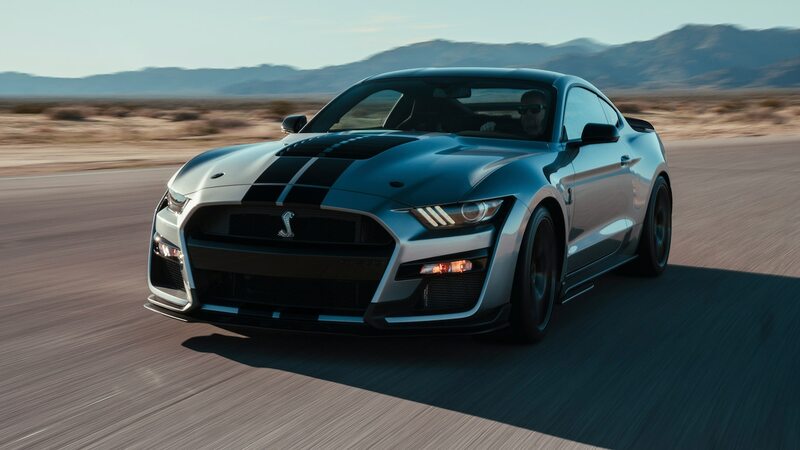 The starting price for the 2020 Ford Mustang Shelby GT500 hasn’t been announced yet, but considering that the 2019 GT350 will start at $60,235 USD and the 2018 GT350R starts at $68,230 USD, it’s a safe bet that the top-trim snake will cost at least $70,000 USD. 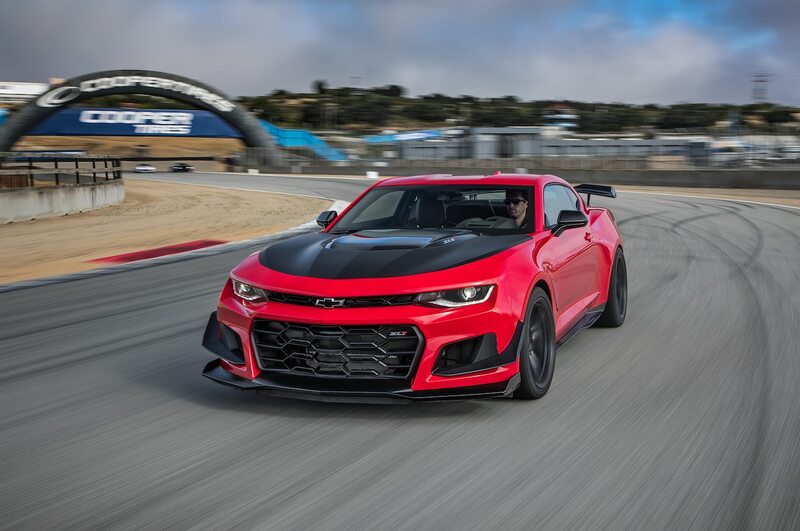 Chevy charges $64,695 USD for the ZL1, or $72,195 USD for one with the 1LE package. The 10-speed auto is a $1,595 USD option on the regular ZL1. The 2019 Dodge Challenger SRT Hellcat starts at $61,745 USD including destination charge and gas guzzler tax. The Hellcat Redeye is priced from $72,845 USD, and the Widebody package adds $6,000 USD to either variant. The eight-speed auto is a $2,995 USD option on the “base” Hellcat and Widebody, and comes standard on the Redeye.